A look at the evolution of U.S.Military Sidearms. This pistol’s lethality made it virtually irreplaceable. The U.S. military has a long and storied history. Our brave soldiers have traveled across the globe in defense of freedom and democracy, and in every one of those conflicts, they have carried a sidearm. 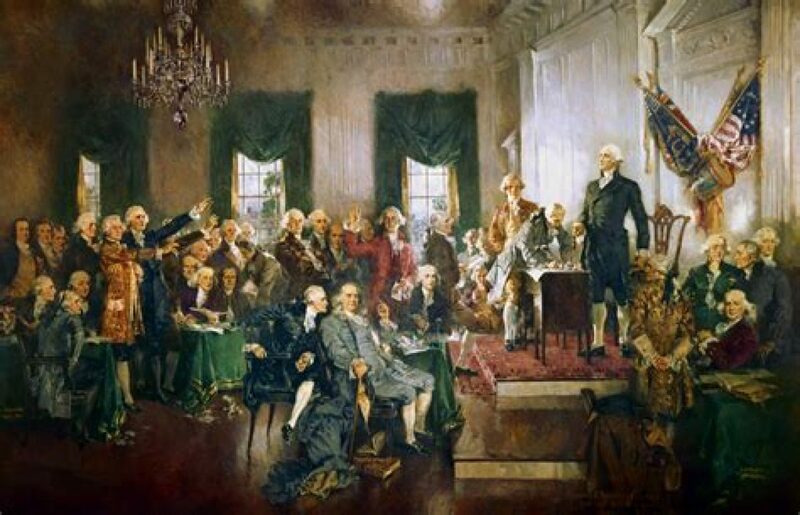 From the Revolutionary War to the War on Terror, there has been a pistol in the hands of our military men and women. Let’s take a look at the pistols that have helped them win wars, both at home in America and abroad. The first sidearm used in the defense of the U.S.A. was the Flintlock Model 1775. This was almost a direct copy of the British model 1760, but it was made in the U.S. for the continental army. You may recognize this pistol as the symbol of the U.S. Army Military Police Corps or as the pistol on the U.S. Navy SEAL trident. The Model 1775 was a .62 caliber smoothbore flintlock pistol that became a favorite among officers due to its ease of use and its accuracy — despite being a smoothbore pistol. 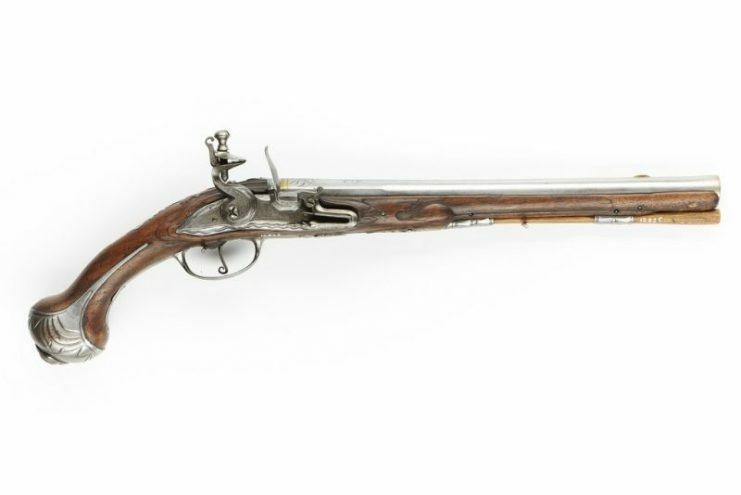 The first Continental Congress purchased 2,000 of these pistols to be manufactured and produced in the U.S. by the Rappahannock Forge in Virginia. This pistol served in the Revolutionary War, the War of 1812, and the Spanish American War — right up until the introduction of the revolver in the mid-1800s. Samuel Colt, the founder of Colt Firearms, revolutionized warfare with his revolving pistol that could shoot multiple bullets without the need to reload. This was a major accomplishment in increasing the lethality of warfare in the modern era. His initial design ushered in a number of revolvers that would service the U.S. military, including the Colt 1847, the Colt M1848 Dragoon, the Colt Army Model 1860, and the Colt Single Action Army. The two most prominent revolvers from this list are the Colt Army Model 1860 (which saw extensive use during the American Civil War) and the Colt Single Action Army. The U.S. government ordered over 220,000 of the Model 1860 for the War Between the States, and the cap and ball revolvers that shot a .44 caliber bullet were mass produced for all the Union forces. The Colt Single Action Army — or, as it is more famously known, “the gun that won the west” — is one of the most iconic American guns. Both outlaws and heroes carried it in their gun holsters. Virtually unchanged in design and still in wide use today, it is a .45 caliber pistol that carries six metallic cartridges. 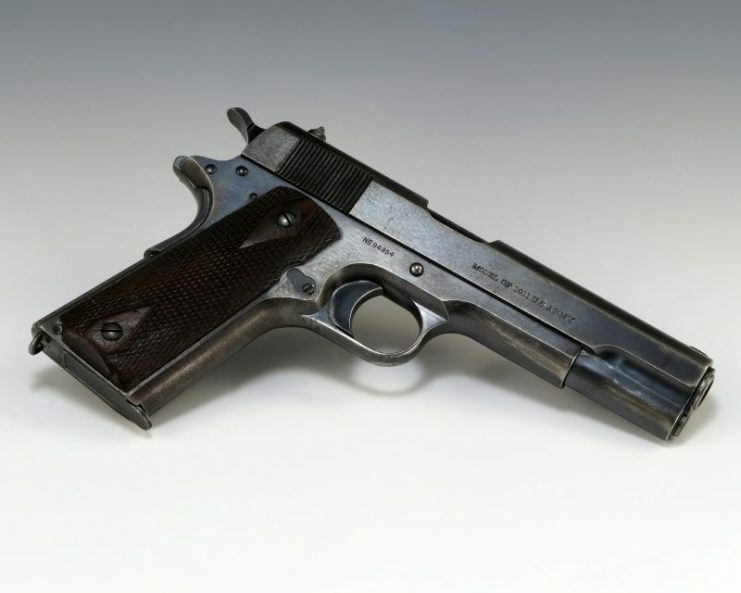 Probably the most recognizable pistol in U.S. military history, the Colt Model 1911 served American troops in both World War I and World War II as well as Korea, Vietnam, and many other 20th-century conflicts. In fact, this pistol served as the sidearm for the U.S. military for 74 years. 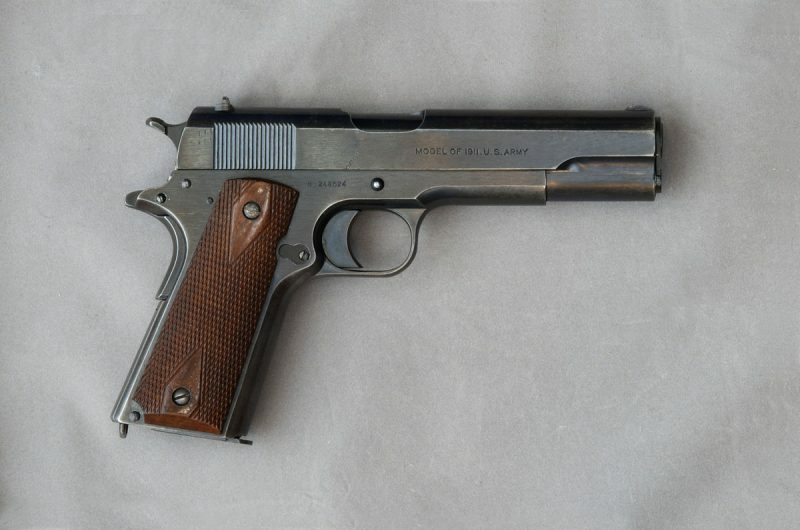 The Colt Model 1911 was the first semi-automatic pistol to be adopted by the U.S. military. Over 2 million pistols were created, and it became a favorite weapon because of the powerful .45 ACP rounds that stopped enemies in their tracks. This pistol’s lethality made it virtually irreplaceable until the U.S. military decided to adopt the smaller-caliber M9 Beretta in the mid-1980s. Despite the military’s official adoption of this newer pistol, many Special Forces units opted to carry the 1911 over the Berretta, and it remains a favorite of the United States Marine Corps Reconnaissance Forces. The M9 Beretta beat out a military favorite when it was chosen to replace the Colt 1911 for a number of reasons. Not only was it lighter and carried more rounds, but it was chambered in the NATO 9mm, making it a top pick among Defense Department officials. 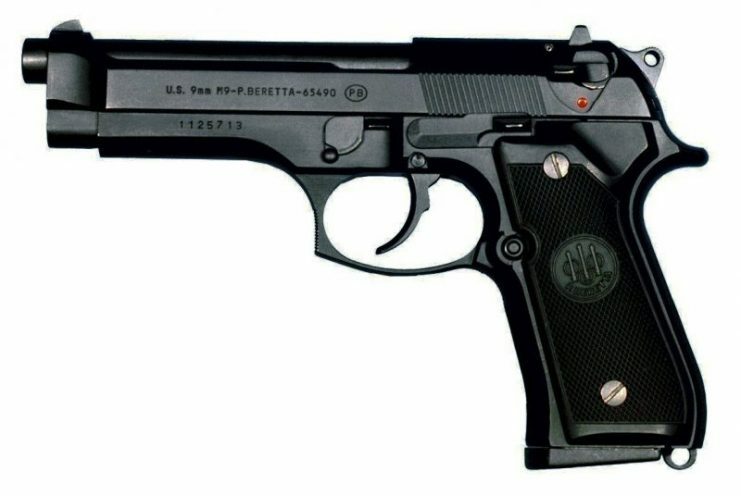 The M9 Beretta was adopted in 1985 and has served in the military ever since, including Iraq and Afghanistan. As a single or double action pistol, it is capable of carrying 15+1, which more than doubles the capacity of the 1911. 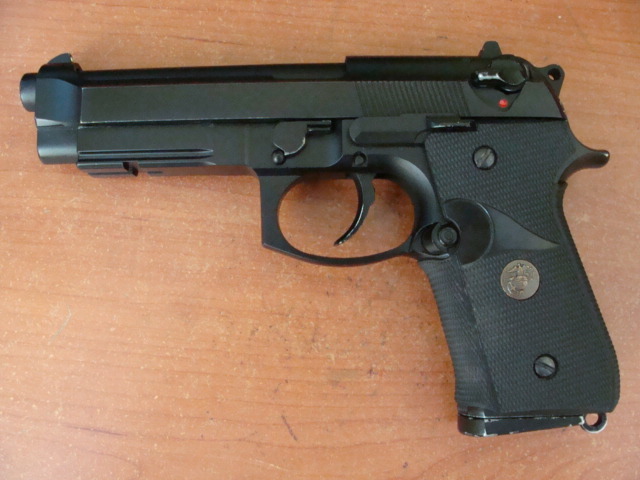 Another respected feature of this pistol is it can be adapted for different missions. When the U.S. was caught up in deadly urban warfare conflicts in Iraq, Beretta developed the M9A1 that featured a Picatinny rail, so the military could affix a light or laser, making the M9 better for the house-to-house and street-to-street fighting that was common in Iraq. This pistol would go on to serve until 2015 when the U.S. Army announced that it was looking for a replacement to the M9. 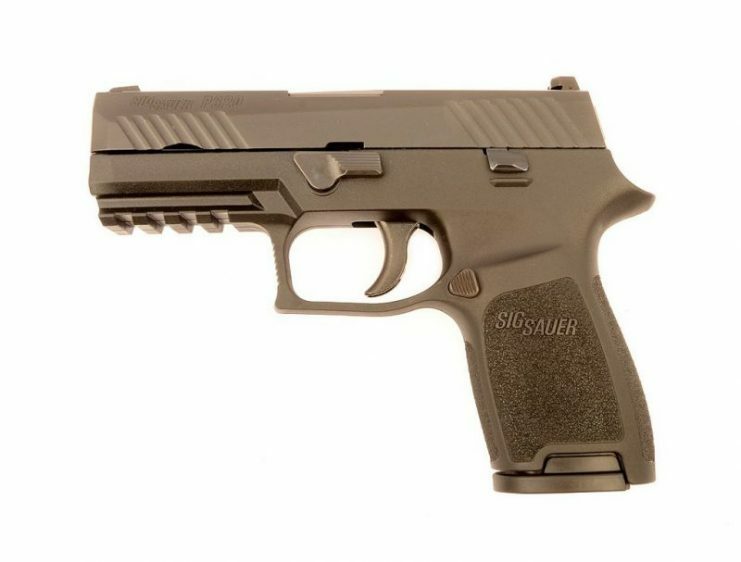 The Sig Sauer P320 is the newest addition to this long lineage of pistols carried by the U.S. military. On January 19, 2017, the U.S. Army formally announced that the P320 — the pistol now known as the M17 — beat over 20 other pistols to be crowned the new standard-issue military sidearm. 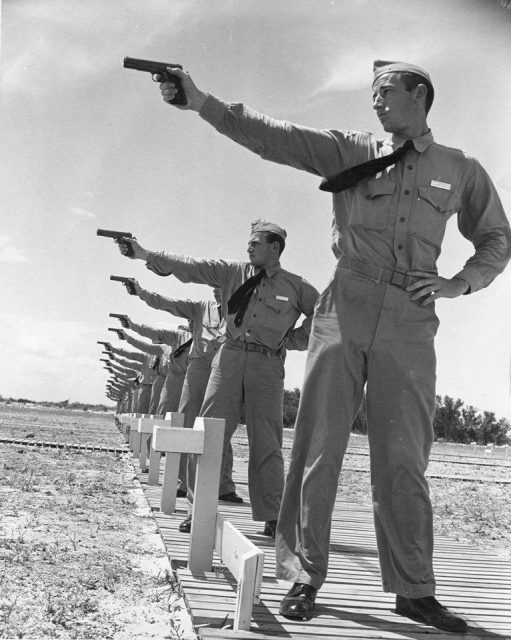 The U.S. Army ordered almost 300,000 full-size pistols and another 7,000 compact models. Some other branches may have ordered another 200,000, which would account for over half a million pistols commissioned by the U.S. government. This pistol emerged as a favorite because the Army was looking for something that was easily adaptable to their missions. They wanted a firearm to have parts that could be swapped out to meet the increasingly changing environments in which the Army conducts operations. The M17 offers all this flexibility and more. It discharges a 9mm bullet, and you can change the grips and slide to meet the needs of almost any mission. It is easily broken down into a concealable handgun as well. This is the new service weapon of the U.S. military, and it will serve alongside the members of the Armed Services for years to come. Author bio: Benji is an avid outdoorsman and former Marine who enjoys hunting and long distance shooting. Currently, he works for Concealment Express as the Director of Marketing.